Paintball in Cornwall and you'll have a choice of 2 amazing venues. The prestigious Torquay venue can cater for up too 140 paintballers in one day and is often at full capacity due to its popularity in the local area. 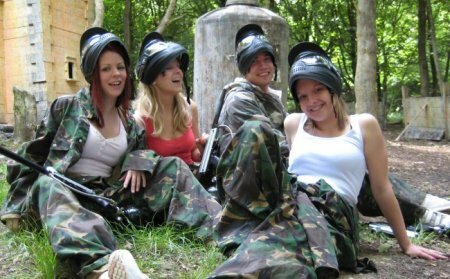 Our park also offers great facilities on site to ensure your paintball day will be a memorable one. A little further a field we have our Exeter Paintball Park. All of the Paintball Cornwall sites have exciting game zones with state of the art paintball equipment that wont fail on you when you need it most. Whether you're on holiday looking for a fun day out, or an office looking for a team building event we cater for all types of groups large and small.